THE NATURAL HAVEN: Natural Salons: Is Brooklyn the place to be? Natural Salons: Is Brooklyn the place to be? 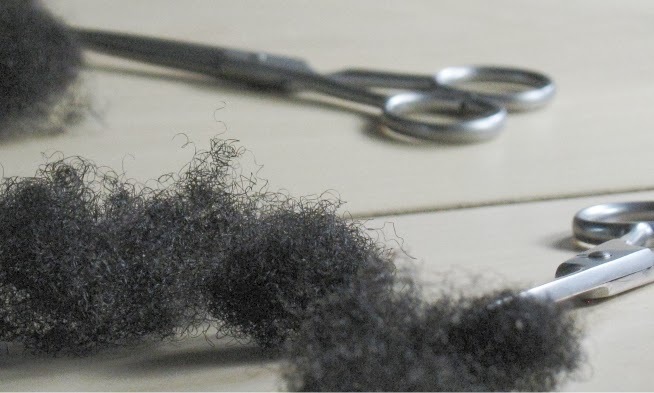 A natural cosmetology instructor E D Lewis tells us - A lot of cosmetology schools don't teach their students how to do natural textured hair.........but if it isn't popular, it doesn't become part of the learning experience. Things are starting to change now, but it's VERY slow. Students are taught that the money is with quick things such as haircuts, relaxers, and color. They are conditioned to believe that our hair in it's natural state is too time consuming and not quick money. Only the smart few realize that natural hair isn't that hard to deal with and that these women will remain faithful to great stylists because these type of stylists are far, few and in between. 2. Knowledgable on natural hair - Agrlcanmac tells us - I've heard of a couple salons that are natural friendly in Brooklyn so we'll see. 1. The look of dismay when you enter -Naturally Leslie tells us - Anything I want done I just do it myself because they all look at me like they have no idea where to even begin. 2. Pushing the relaxer - Make up theory tells us - The man at the barber shop was steady complaining the entire time about how I was setting black folks back 100 years because I refused to "fix" my hair. 3.Bad practice - Mellowyel tells us - My scalp will never forgive me for that first blow-dry. Laquita tells us - There was an attempt to put nail glue on my hair and a braid falling from the root. Whoa... that ED Lewis quote is great! And those summary quotes are priceless!!! Thanks for quoting me!! That's awesome. I couldn't agree with Naturally Leslie more. People make natural hair so much more difficult than it really is! It's only as time consuming as you make it. Great post! I hope to see more natural friendly salons and stylists in the near future. Im "yaying" right along with Alice :). Glad that you were able to extract both the positive and negative apects of attending a salon based on our experiences. Im currently living in upstate NY and will continue to go back to Brooklyn (my hometown) for anything I need done (the natural hair scene here is not that popular). Lastly, def. agree with Naturally Leslie! !